This weekend most LA County yarn shops will be opening their doors as part of our local yarn crawl. Today, Friday March 27, 2015 at 1 & 5pm I'll be at The Little Knittery giving Tunisian crochet demos as part of the weekend long festivities. 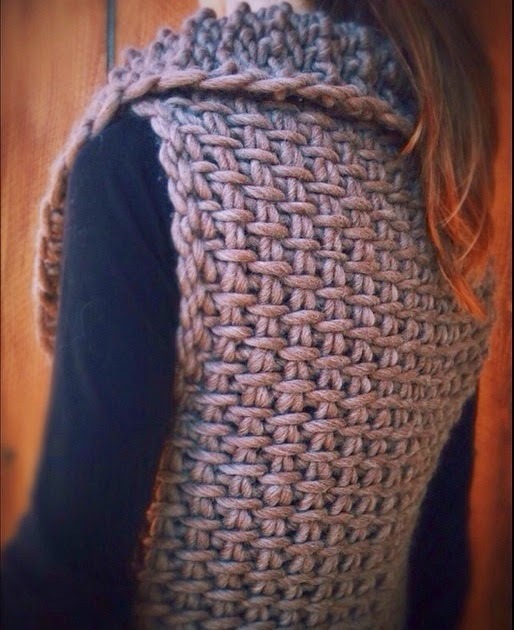 This Tunisian crocheted vest pattern will be available at The Little Knittery this weekend... I'll post it here next week. If you can't make it to the demos check out my Tunisian crochet tutorial here and learn to make a simple cowl. The simple Tunisian crochet stitch is super easy to learn even if you don't crochet! Wow!!! What a cool stitch! I would love to make that! I look forward to seeing the pattern posted next week!!! You always inspire me with your beautiful designs!!!!! !